If you’re looking for a beautiful deck for your home that will be built to last, we’ve got you covered at PROTECH Home Improvements. A deck is a great way of transforming your outdoor property into a space where you can relax and entertain your friends and family. Finding a contractor you can truly trust when it comes to quality and customer services is important, however. This is why you want to make PROTECH Home Improvements your first choice. 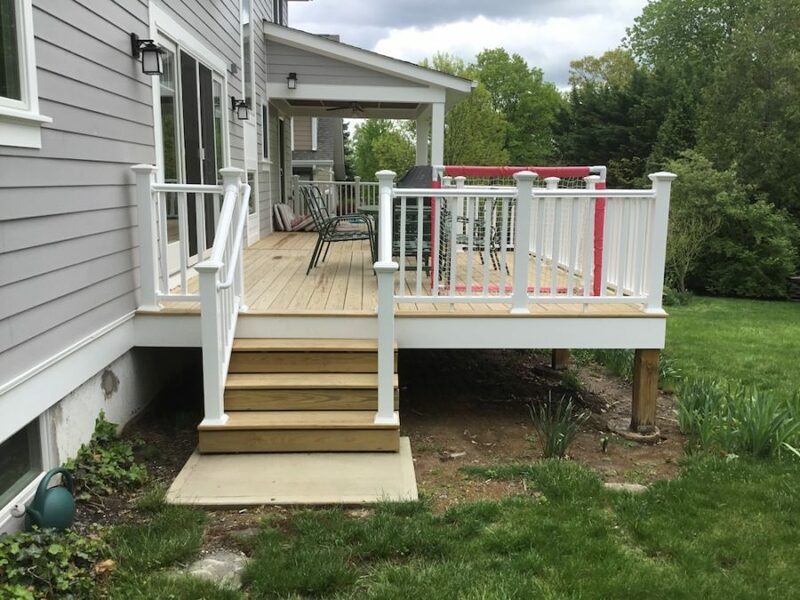 Our experience when it comes to deck design and construction means you’ll be sure to get exactly what you’re looking for. We offer a wide variety of options and will take your goals and budget into account when it comes to building your new deck. Our experts will ensure that your deck is constructed with the highest possible quality materials as well as maximize its resistance to the elements. Our attention to detail is unparalleled and will guarantee you will be thrilled with the finished product. Vinyl Decking is a reliable, low maintenance, weather resistant, pest resistant, and highly durable alternative to traditional wood decks. Both hollow and solid vinyl is used for decking, with solid products providing a similar appearance to natural wood. Composite Decking combines the beauty of real wood with the performance of modern decks. Composite Decking is made of materials such as ground-up wood, shredded recycled plastic, and recycled fibers. This material creates a strong finished product that comes with a pre-finished surface. Wood Decking is the most popular type of deck because of the classic and natural beauty of wood. With various types of wood, different colors and designs can be created to make your deck one of a kind. Decks tend to sustain normal wear and tear over time while being exposed to high and low temperatures and various seasonal elements. With proper maintenance, you should be able to enjoy your new deck for many years. PROTECH Home Improvements can inspect and evaluate your deck and advise if we can repair it or if it needs a new installation. Check for any loosened nails, and reinstall or replace them with dipped galvanized or stainless steel screws that are made to withstand the elements. If you’re in need of deck restoration and repair, the experts at PROTECH Home Improvements are here to help. 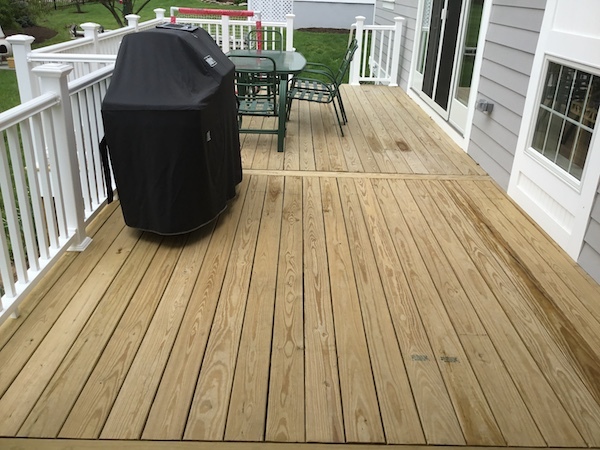 No matter how perfectly deck installation services are performed, it’s natural for there to be a certain amount of wear and tear over time. To make sure your deck is capable of providing enjoyment for many years to come, it’s important to find a reputable source for deck repair services. This is where our trained experts come in. 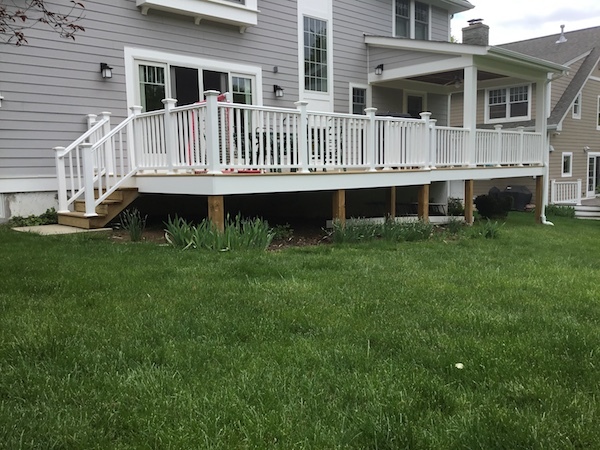 We offer a large selection of deck restoration services to make sure the construction is secure as well as ensuring your deck looks the best it can. For a beautiful deck built to last, contact PROTECH Home Improvements!